Bienvenue à bord de The Orient Express! We are pleased to announce that ONBC's delightful choice for the Fall Season 2017 is none other than Agatha Christie's 1934 classic story of murder featuring the inimitable talents of Monsieur Hercule Poirot. Those boarding the train this September will be treated to many and various stories concerning the Simplon-Orient Express, its patrons, related cinematic endevours, and possibly, cuisine or other subjects of a dubious, though highly entertaining, nature. 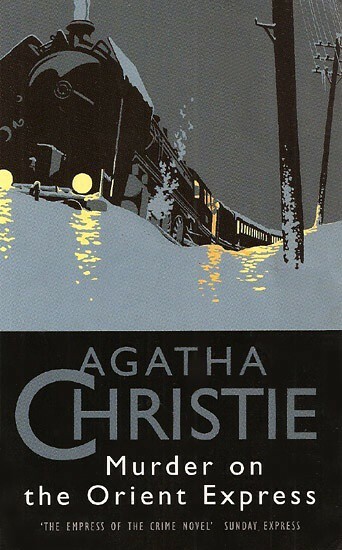 It is recommended that those desiring the fullest immersion into the Orient Express mystery may wish to purchase or borrow a copy of Ms. Christie's fascinating detective story. My copy of the book arrived today. It has been published and re-published so many times with so many different covers over the years, I hope that the book remains true to the original no matter what year it was published. nebraska wrote: My copy of the book arrived today. It has been published and re-published so many times with so many different covers over the years, I hope that the book remains true to the original no matter what year it was published. I've been checking out Alibris and AbeBooks for a good used hardcover copy. I bought mine through a used book dealer on ebay -- around $10 -- hard cover copy that appears to be in new condition. They have reissued MOTOE! It's available at the usual places.